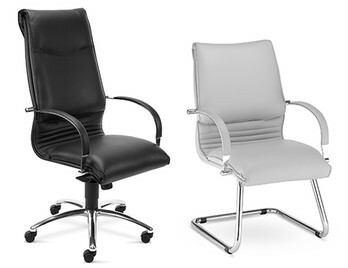 Premium leather executive chairs, in some cases, have been specifically designed by an architect or designer and then manufactured by a recognised and established furniture company or brand. 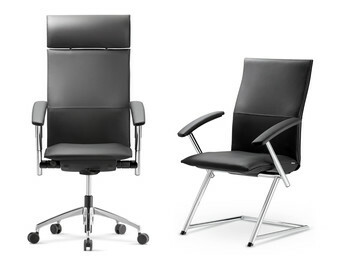 These types of chairs have features and qualities that you may not find on standard executive chairs such as the ‘free flow’ mechanism found on the Galileo, Belive 546 and Freedom chair, enabling the seat and back to move with you. Other features may include visible stitching detail on the side or back of the chair, highlighting the hand-built ‘crafted’ element. 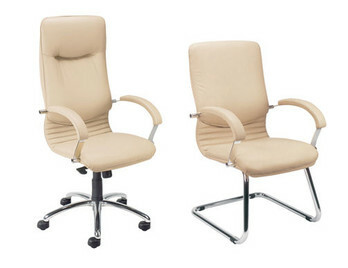 Premium leather executive chairs are often specified at ‘project level’ which means that the upholstery and leathers are usually chosen by a design team or interior designer. This means the leather choices and options are ‘premium real leather’ or ‘part real leather’ as opposed to readily available stocked faux leathers or vinyl’s. 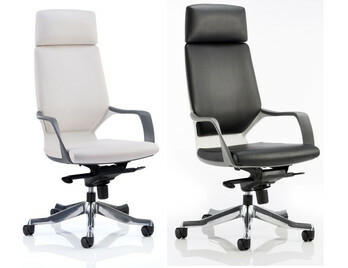 It’s for this reason that these types of chairs are usually on a longer lead time of around four to five weeks. 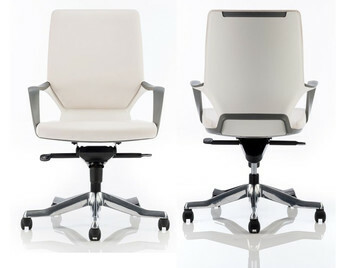 Described by The New York Times as 'the gold standard in office seating' The Freedom task chair revolutionizes and redefines the way people sit. 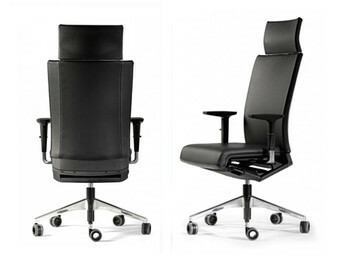 It has a weight-sensitive recline and synchronously adjustable armrests, setting a new standard for task chair performance and functionality. 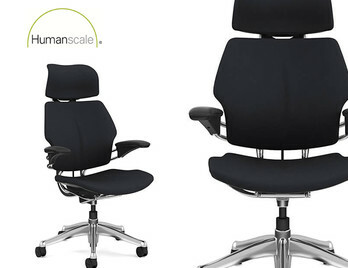 With a precise sculptured foam backrest to match the contours of the human body and thick cushions for lasting comfort, it provides a custom ergonomic fit for every user. 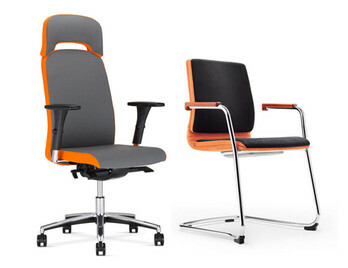 Chairs in this category have been designed, made and branded by the manufacturers such as Nowy Styl, Humanscale or Grammer Office. 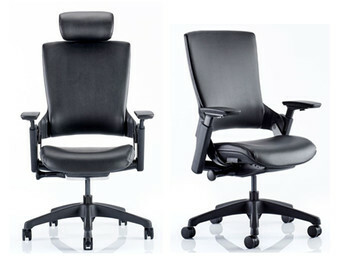 The build quality and usability of these chairs is extremely high. 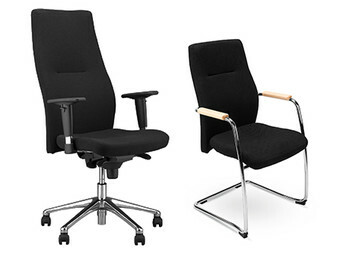 These chairs can be specified to include additional features and such as seatslide, width adjustable armrests, and soft wheel castors. The upholstery options are also customisable starting with commercial grade fabrics and vinyls moving up to fine leathers. 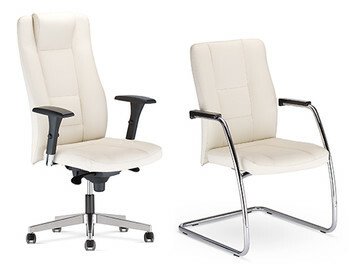 Premium executive chairs offer maximum posture support and provide a comfortable base for extended periods of seating. 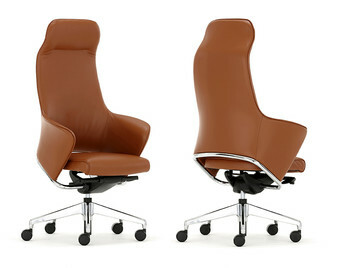 The length of time a user will spend in these types of chairs has been considered with ergonomic friendly controls helping to achieve the ideal sitting position. 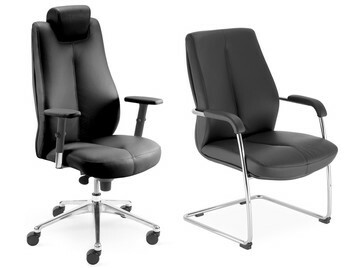 Investing in a high quality chair is something that should be considered as we spend a large amount of time sitting throughout the working day. 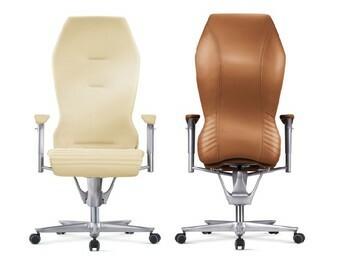 These types of chairs combine luxury style comfort with If considering a Premium Leather Executive Chair you are investing in the highest quality of seating that can provide years and years of comfort. 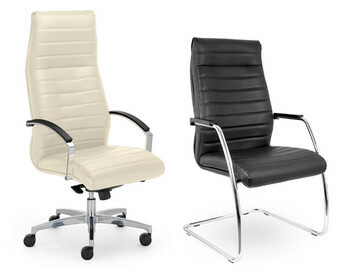 We offer a variety of premium style leather seating to suit different decors. 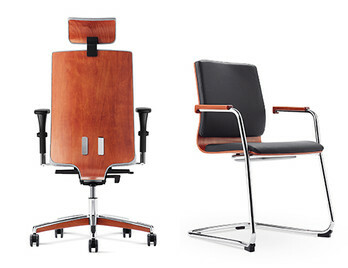 For a classic executive chair, that demands attention, opt for the Chairman Executive Chair. This is a more traditional in its appearance and features a generous cushion and back with buttoned stitching detail and brass nailhead trim on the arms. 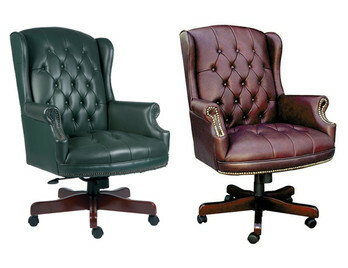 The leather finish is also a traditional burgundy or green, blending in to a home office or office environment well. 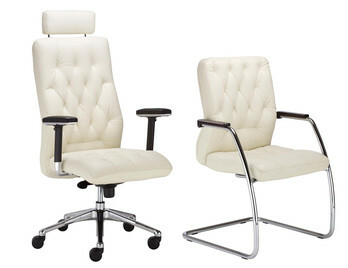 For a more modern style of seating be sure to check out the Rhapsody Designer Executive Chair that features an innovative design and is available in a variety of fabric options and colour finishes. 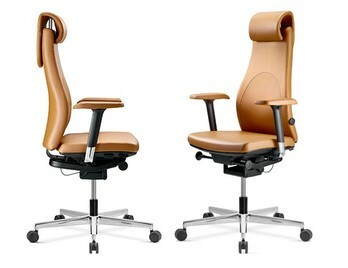 The back and headrest look and feel encompassing almost gently hugging the user. 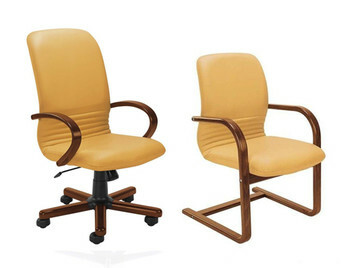 This is also complimented by a visitor style chair of the same design. 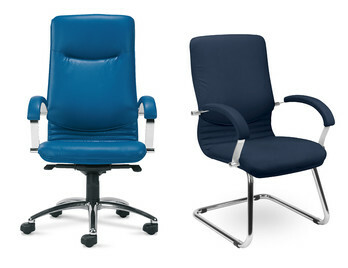 All of our executive seating is available for free delivery to UK mainland postcodes.